Yesterday was the 129th anniversary of the death of James A. Garfield. 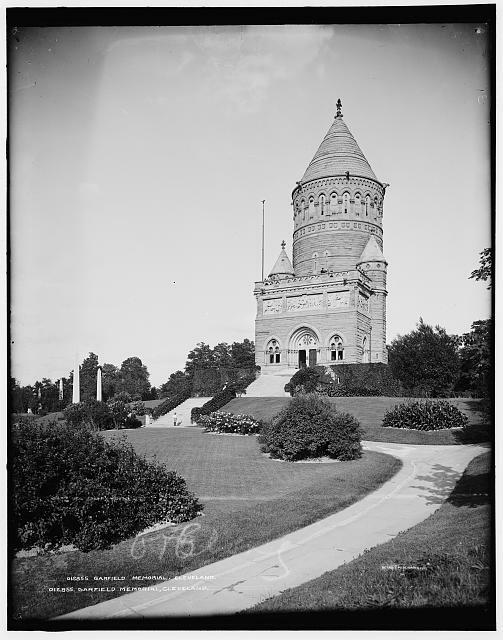 The Garfield Monument, his burial place, in Lake View Cemetery, is one of our most grand public structures. 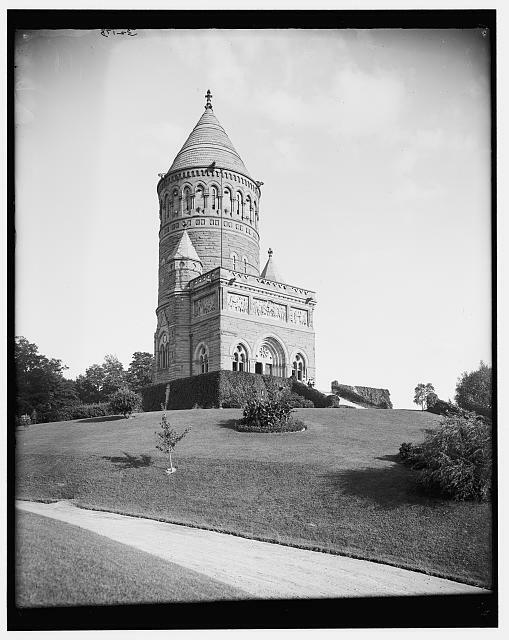 These images illustrate the Garfield Monument at the turn of the century. The photographs are from 8x10 glass plate negatives, created by the Detroit Publishing Co.. The originals have been scanned at high resolution and made available online by the Library of Congress. Note that, in these photographs, the stone of the monument appears to be of a much lighter color. The dark color we associate with the structure is likely the result of decades of pollution. Originally, it was probably a lighter tan. The processional nature of the roads leading to the monument is more obvious here, as it is not obscured by trees. This provides some hint as to the original landscaping plan of the site. I do not mean to suggest that the trees now present should be removed - my intent is just to show that these aesthetic perceptions have changed over time. The Library of Congress has a couple more photographs from this series. With this blog post in mind, our out of town guests joined us on a vistit to the President's Memorial. Very hidden today....still stunning!